• Eastern chipmunks (Tamias striatus) are listed as a Species of Special Concern in Florida, and are known locally as ground squirrels. • Information on current distribution and abundance are lacking. 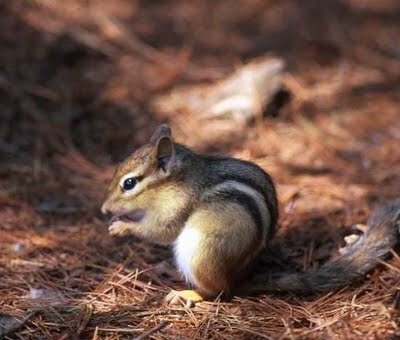 • Your observations can help FWC biologists to evaluate the conservation needs of chipmunks and develop a management plan for keeping their populations healthy. • Chipmunks are active during the day and can be seen foraging on the forest floor, in back yards or perched on logs or rocks. • Chipmunks have reddish-brown fur with alternating light and dark stripes along their back. • Use the map tool to mark the location where a chipmunk was observed. • More recent sightings (within the past year) are preferred, but older sightings (regardless of year) are appreciated as well. If a sighting is not recent, please remember to put the correct year and month if possible. • Please zoom in as far as possible when selecting a location. • Observer name, email address and organization are optional. • Additional comments, questions or pictures can be sent to Chris Winchester(Chris.Winchester@MyFWC.com). Thank you very much for your participation in this survey, your contributions to this effort are invaluable! Red marker indicates the current coordinates. 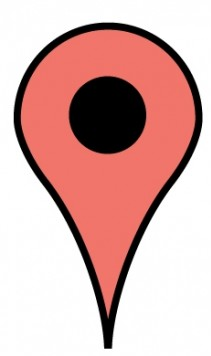 To modify coordinates zoom and drag the marker to the desired location or enter the lat/long directly. Enter date chipmunk was observed, organization or user name and contact email then press Submit.
" + (i + 1) + ": " + places[i].address + " : " + p + " , " + p + "